Second-rower Ryan Dixon is the latest in a long line of Doncaster Toll Bar amateurs to turn out for Doncaster RLFC. Doncaster RLFC will look to learn the lessons from Sunday’s Betfred League One defeat at Whitehaven before turning their attention back to the Coral Challenge Cup. Doncaster RLFC will be looking to improve on recent visits to Cumbria when taking on Betfred League One rivals Whitehaven at the Recreation Ground on Sunday (3pm). 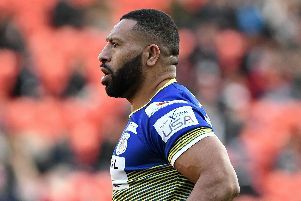 Last season’s leading try-scorer Jason Tali is hoping to be back in contention for Doncaster RLFC’s trip to the Recreation Ground on Sunday to face Betfed League One rivals Whitehaven. 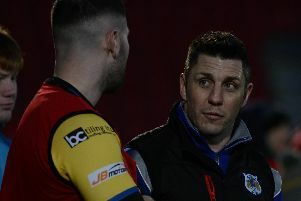 Doncaster RLFC are hoping their luck holds when the fourth round draw of the Coral Challenge Cup is made at Bradford’s Odsal Stadium tomorrow. Head coach Richard Horne admitted that the margin of victory in Doncaster RLFC’s Coral Challenge Cup third round win over Coventry Bears on Friday night flattered them. 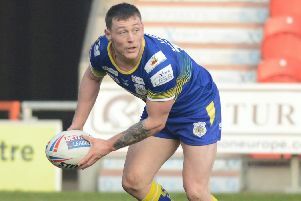 Doncaster RLFC booked their place in fourth round of the Coral Challenge Cup when beating fellow Betfred League One rivals Coventry Bears 38-16 at the Keepmoat Stadium. 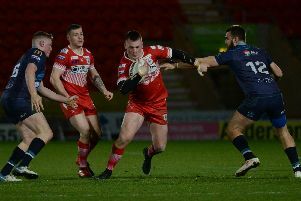 Not many hookers could do what Kieran Cross did on Sunday at the Keepmoat Stadium and score a 90-metre interception try. 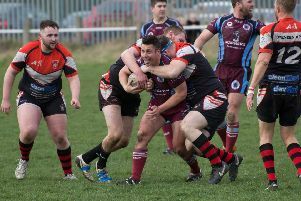 Doncaster Toll Bar hit back with a late try to reach the final of the Pennine Presidents Cup with a 20-16 win over holders Ovenden. 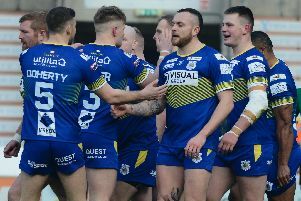 Doncaster RLFC hit the Wembley trail on Friday night when taking on Coventry Bears in their Coral Challenge Cup third round tie at the Keepmoat Stadium (7.45pm). 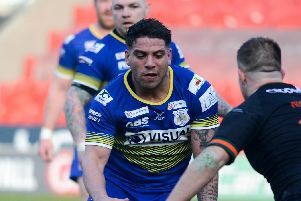 Doncaster RLFC players will report back for training tonight with a spring in their step after beating fancied Workington Town in Sunday’s Betfred League One clash at the Keepmoat Stadium. Doncaster RLFC produced an outstanding defensive display to beat fancied Workington Town 20-10 in a cracking Betfred League One clash at the Keepmoat Stadium. 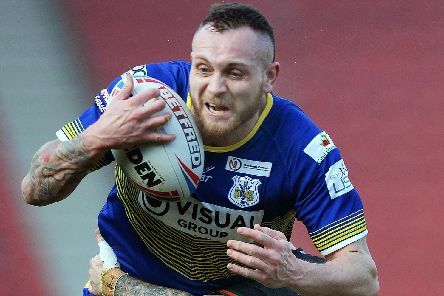 Bad luck has came in threes for Brad England but the Doncaster RLFC star is on the road to recovery. 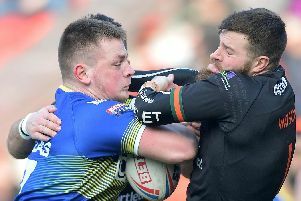 Doncaster RLFC suffered what could prove to be a costly 20-18 home defeat to Hunslet when the honours are up for grabs at the end of the Betfred League One campaign. 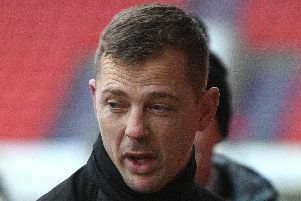 Doncaster RLFC contributed to their own downfall when going down 20-18 in an ill-tempered Betfred League One derby against Hunslet at the Keepmoat Stadium. Doncaster RLFC will show at least two changes to the side which got their Betfred League One campaign off to a winning start last weekend in Sunday’s home game against Hunslet (3pm). 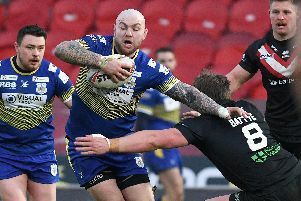 Doncaster RLFC wasted no time in throwing down the gauntlet to their Betfred League One promotion rivals, beating fancied Newcastle Thunder 32-26. 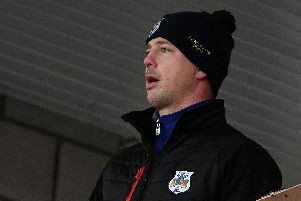 Doncaster RLFC produced a superb second half display to steal fellow promotion hopefuls Newcastle’s thunder in their opening Betfred League One game of the season at Kingston Park. 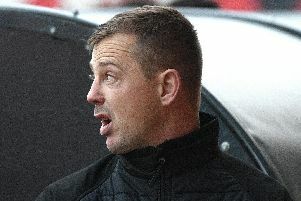 Doncaster RLFC will need to hit the ground running if they are to throw down the gauntlet to their 2019 Betfred League One rivals in the opening month of the season.